There are more than 30,000 fonts world wide and while everyone loves Helvetica, we should move on and start embracing the latest and greatest designers have to offer. 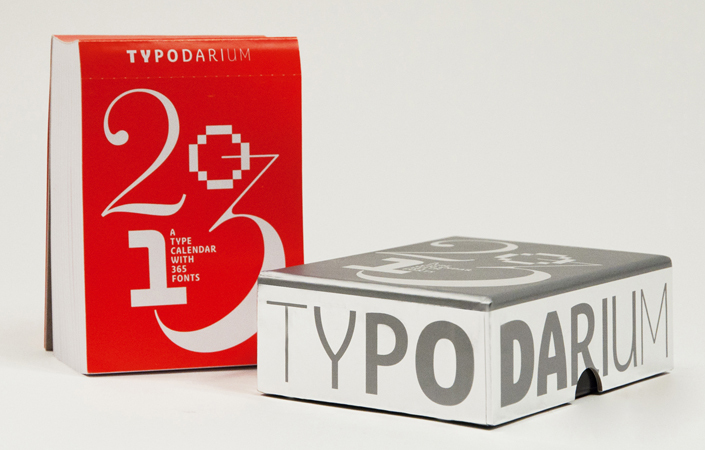 Enter the tear-away 2013 Typodarium calendar which strives to teach you a new typeface every day. These jury selected fonts will educate you and fuel your love of graphic design and perhaps inspire you to submit your own for next year. Available here.